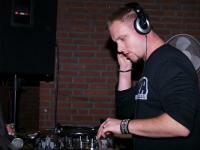 Jimmy Shake was born in Rotterdam on the 12th of January 1980. Since 1990 jimmy jimmy was non-stop with music, from producing untill spinning his own and other tracks as a dj. His dj skills started growing at a young age. With old cd players and a simple mixing table, he often played all the hits from that time for family, friends and at schoolparties. He also performed weekly in some local bars and decided to expand his dj skills to a more professional level. Jimmy turned many clubs upside down, like: Rebound Schiedam, Friends Dordrecht and Bar dancing De Kreek in Oudorp. In 2007 Jimmy Shake started working for DJ Sounds in Rotterdam one of the biggest drive-in organisations in the Netherlands. During his job he performed at multiple parties and events, like 2 years in a row on the biggest event of Rotterdam: The Dance Parade.(2007/2008). In 2009 Jimmy wanted to expand a bit more and gets in contact with (Azra Digital Records) where he singed his first record label. In cooperation with Azra Digital Records he signed 5 records on his name: ’31 Seconds’, ‘That Was Fresh’, ‘Activate’, ‘Do You Remember’ and ‘Show Time’ that was also supported by Club Fresh on Fresh FM Radio. 2010 was a heavy but also a top year. Jimmy decided to start his own Entertainment organisation for young and new producers/dj’s. After a very busy year he saddly found out that running this organisation demanded to much time and limited him for his biggest passion, what still is producing and spinning music. So he decided to end this organisation and spend more time on his passion. In 2011/2012 Jimmy got many support and focused more on the tips he received from big artists like: o.a. Vato Gonzales (Dirty House) 010 bookings ,Mike Angelli (Seen Records) and the Dirty Rockerz.